One of the most negative consequences associated with the rise of drug abuse is the number of deaths associated with drug overdoses. Based on information released by Psychology Today, close to 98 percent of all deaths associated with accidental overdoses can be linked to alcohol, cocaine, and opiates. While the idea that alcohol is a leading cause of overdose-related deaths may be surprising to some, alcohol-related deaths are more common than you might think. With these facts in mind, understanding how to prevent a drug overdose gains relevance. Overdose prevention is a key to reducing the number of drug-related deaths in America. At White Sands Treatment Center in Fort Myers, we offer a number of resources and programs to help you overcome your addiction, but they will do no good if you become the victim of an overdose. 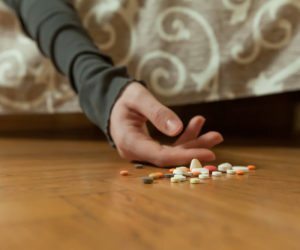 If you know how to prevent a drug overdose, it will allow you to get past a very scary moment in order to seek the help you need to initiate your recovery process, which would begin with some form of a drug overdose rehab program. Obviously, the most effective way to prevent a drug overdose is to avoid using the drug in the first place; however, abstinence is not always realistic. At White Sands Fort Myers, we understand the importance of resisting the urge to judge people in lieu of meeting them where they are, which often means discussing safe usage of potentially deadly drugs until the person is able to overcome their dependence on their drug of choice. The first step in overdose prevention is to never use alone. When you use alone, an accidental overdose will likely prove fatal because if you become unconscious there will be no one to call to get you the medical attention you need. Second, avoid mixing drugs like alcohol, cocaine, and opiates. The mixing of mind altering drugs – especially those that have the capacity to impact your breathing and your heart rate – can prove catastrophic. If you are going to use, stick to a singular preference. Also, an overdose of a singular drug will be easier to treat by medical personnel if the need arises. Finally, know what you are using. The quality and the purity of the drug has an immense influence on how it will impact your body. Be aware of the source, because one of the common causes of drug overdoses is the consumption of a drug that is laced with another drug that the user is unaware of. When you take the necessary steps to avoid an overdose, you can survive long enough to check into a drug overdose rehab program that will help you break free of your addiction. With many people who find themselves chemically dependent on drugs, it is a close call with a drug overdose that awakens them to the need to take action to break free of their addiction. By understanding the basics of overdose prevention, you will be able to check into a drug overdose rehab program that will help you to progress along the continuum of recovery. At White Sands Fort Myers, we have built a stellar reputation for helping people overcome their addictions. When you walk through our doors, you will be immediately met with the warmth and respect that will remain consistent throughout the entire treatment process. We understand that drug addiction is an illness and not a behavioral issue, so there is never any judgment based on your current condition. Our goal is to provide you with the resources and environment necessary for you to experience a complete recovery. If you are currently struggling with a drug addiction, or you have survived an overdose, call 877-855-3470 or visit our website at www.whitesandstreatment.com.